This Saturday, Powell Elementary at 1350 Upshur is holding their Spring Community Carnival, a fundraiser and fun event for kids and adults. It's at the Roosevelt High School field across from Annie's Ace Hardware from 10am-3pm. Annie’s Ace Hardware in Petworth supports a number of schools in the area but we have a special partnership with Powell Elementary which is right down the block from us. Our employees happily volunteer to be judges at their spelling bees, participate in Dr. Seuss reading days, and host tours of our store. 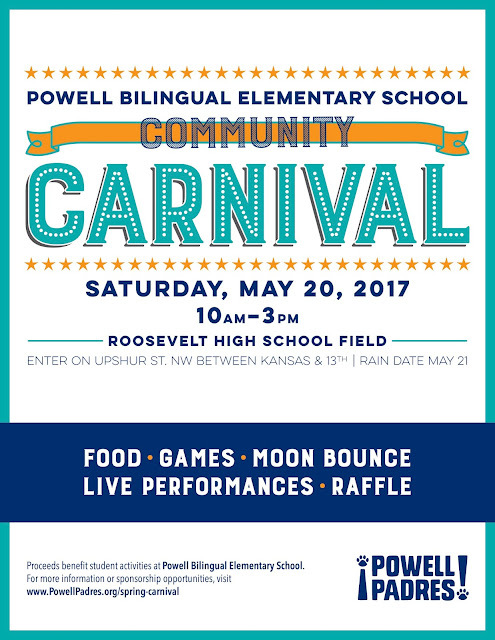 This Saturday, May 20, the Powell Carnival will be held at Roosevelt High School’s athletic field. As part of this event, Annie’s Ace Hardware will do a “round-up” fundraiser. What this means is that all customers will be asked if they would like to round-up their purchase to support the Powell Padres, the parent organization for Powell Elementary. If your total comes to $13.49, you will have the opportunity to “round-up” to $14.00 and 51 cents will be donated to Powell. We appreciate your support of this event! 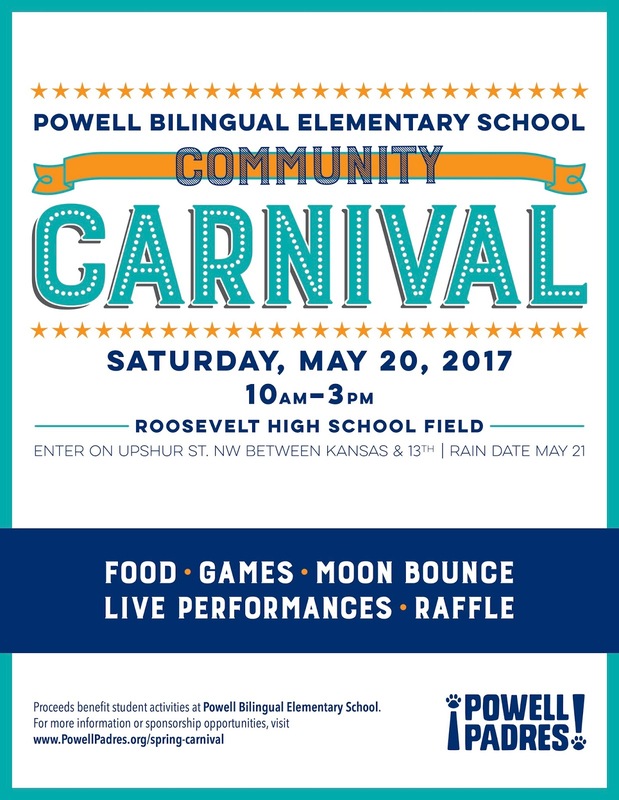 On May 20th, Powell Elementary School we will be holding their 3rd annual Spring Community Carnival at Roosevelt High School football field. This event is open to the public and all proceeds go towards funding field trips, classroom technology, classroom supplies and other school-support activities. Raffle for cash and an iPad! Thank you so much for spreading the word! We are very excited about the Carnival and hope to see many neighbors come out to join us!